Sat, February 10, 2018 7:30 P.M. 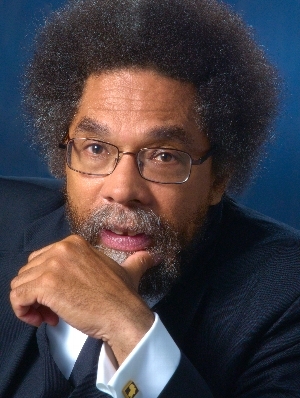 The Cornel West event is completely sold out but you can watch it here live at 7:30 p.m.
Lauded for his “ferocious moral vision and astute intellect” (New York Times), educator and philosopher Dr. Cornel West is the author of the National Book Award-winning Race Matters, a sea change discourse on race, justice, and democracy in America. His other books include the bestselling Democracy Matters, Hope on a Tightrope, and Black Prophetic Fire. A former teacher at Union Theological Seminary, Yale, Harvard, and Princeton, he has collaborated on three spoken-word albums with Prince, Andre 300, Jill Scott, and a litany of other artists. More relevant than ever, the new edition of West’s classic book of essays seeks methods to create a genuinely inclusive 21st-century democracy.